Our Season Opener brings together some of the best young artists of our region and beyond with pianist extraordinaire, Gretchen Dekker and Yours Truly. Featured works include Rideout’s delightful “Ferdinand the Bull” for violin and narrator, movements of works by Shostikovich, Prokofiev, Saint -Saens, and Paganini. The evening concludes with Mozart’s beloved piano Quartet in gminor. Our featured young artists are Sophie Dekker, Alexandra Santarchangelo, Nolan Reed and Casey Reed. 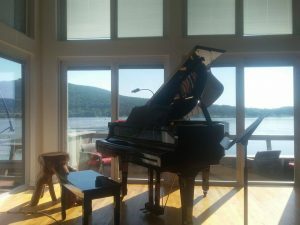 Born and raised in Central Pennsylvania, Gretchen (Elicker) Dekker began her formal music training in piano at age eight. She continued her studies at the Peabody Preparatory School in Baltimore and, following her graduation from Northeastern High School, she entered the Peabody Conservatory and graduated with honors. Pursuing a strong interest in the harpsichord, she auditioned for and was accepted by Gustav Leonhardt as one of four pupils in his international class. During her time of residence in Amsterdam, she studied both harpsichord and organ and performed recitals throughout The Netherlands, France and Belgium. Since receiving a Master’s Degree with high academic honors and special recognition for distinction in performance from the New England Conservatory of Music, Gretchen has concertized as both a soloist and collaborative artist in the mid-Atlantic region. She has been featured as a keyboard soloist with the Peabody Chamber Symphony, the York Symphony Orchestra, the Harrisburg Symphony, the York College Community Orchestra, the Concertante Chamber Ensemble and the Hershey Symphony. 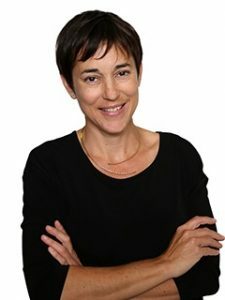 Dekker currently serves as an adjunct professor of piano, harpsichord, early music history and aural theory as well as a staff accompanist on the faculty of York College of Pennsylvania. In 2012 Dekker founded and is currently the Artistic Director of the YCPrep Community Music School, which is based at York College and offers pre- and post-collegiate music instruction and ensemble experience in all disciplines. Through the YCPrep she continues to maintain an active private teaching studio while still finding time to enjoy gardening on a small farm in Northern York County with her Dutch husband Jochem and their two active teenage children. Honor student Sophie Dekker is a junior at Northeastern High School in Manchester. She has been playing cello since kindergarten and studies privately with Sara Male in Lancaster. Her former teachers include Jan Nemshick and Rachel Kauffman. In addition to being principal cello with the Harrisburg Symphony Youth Orchestra, Sophie has also participated PMEA District 7 and Central Region Orchestra Festivals since 2017. 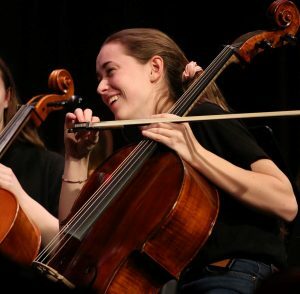 Previously she was the principal cellist for the Harrisburg Junior String Orchestra and the York Junior Symphony and Octet; she is also the principal cellist for her high school orchestra. Sophie has performed as a soloist in masterclasses at York College (The Lydian Quart et) and the Lancaster International Piano Festival (The Shanghai Quartet). She has also participated regularly in the “Chamber Music Invitational” strings summer festival in Glen Rock and was invited to play in the “Allegro” Chamber Orchestra in their 2017-18 season. Sophie performs frequently in ensembles at York College, the YCPrep Community Music School and churches throughout the region. Sophie excels at hurdling in track and field and has medaled in invitational meets and qualified twice for PIAA Districts. She is also an avid horsewoman who barrel races in rodeos and volunteers in the barn at the Leg Up Farm Equine Therapy Center in Mt. Wolf. In addition to sports and music, Sophie enjoys reading, drawing and freestyle cooking. Sophie is the daughter of Jochem and Gretchen Dekker and lives on a small family farm north of York with three quirky cats. She aspires to attend college in the future and continues to explore all of her post-secondary options as a scholar, artist and athlete. Born in Durango, Colorado, Nolan Reed began playing the violin at age 8, and began taking lessons at the age of 10. 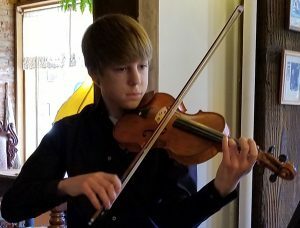 Throughout middle school and high school, Nolan earned various stateawards in his home state of Colorado, including earning a spot in the Colorado All State Orchestra for three consecutive years. Nolan graduated from Durango High School, where he was awarded the National School Orchestra Award as a result of his hard work and dedication to the DHS Symphonic Orchestra. Nolan has also been a member of the San Juan Symphony in Colorado, Waco Symphony Orchestra in Texas, and Columbus Symphony Orchestra in Georgia. He has also participated in music festivals across the country as well as in Portugal and Italy. Nolan is completing his Bachelor’s degree at Columbus State University, studying under Sergiu Schwartz. Casey Reed, 14 years old, began playing the violin at age 5. He began his studies with Allison Carson, and has taken lessons, locally, with Bethany Wanket and Molly Jensen in Durango, Colorado, and with Andrew Wilson in Albuquerque, New Mexico. He has studied via skype with Odin Rathnam and currently takes lessons with Brandon Christensen. His older brother, who is a junior at Schwob School of Music in Columbus, Georgia, has mentored and encouraged Casey and has been an inspiration. Casey participated in the MITM (Music in the Mountains) Summer Conservatory from 2011 to 2013. During the summer of 2013, he was principal of the second violins in the Concert Orchestra, under the direction of Gary Needham. All 3 years that he participated, he auditioned and was chosen to play in the Next Generation concerts. 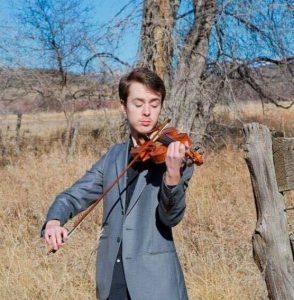 He has participated in Solo and Ensemble, the Durango Bach Festival, DCMA (Durango Chamber Music Academy), the 4CMTA Young Artist Festival/Colorado Achievement Day, and the 4CMTA Duet and Ensemble Festival. Casey played with the Escalante Middle School Orchestra at the 1st Music in the Mountains Extravaganza. He played in the Philharmonic Middle School level orchestra of the SJSYO (San Juan Symphony Youth Orchestra), and, as a 5th grader, began playing with the High School/College level orchestra of the SJSYO. This will be his 3 rd year sitting in the 1 st violin section. Casey participated in and was concertmaster of the Durango Elementary Music Festival, for 3 years (2013 to 2015), and, earned 2nd chair in the CURRY Summer Music Camp in Arizona, in 2014. He has auditioned and made it into FOOSA (Fresno Summer Orchestra Academy) in 2015 and 2017, PIMF (Philadelphia International Music Festival) in 2016, and MITM (Music In The Mountains), which are all Pre-College summer music festivals and/or conservatories. He has competed in the Concerto Competitions, while attending summer programs in California, Pennsylvania, and Colorado; and has been honored as a Finalist in the Concerto Competitions in California and Pennsylvania. Casey has also played in masterclasses for names like Barbara Barber and Rachel Barton-Pine. He has participated in side-by-side programs with San Juan Symphony and earned top ratings in multiple solo and ensemble programs (including first place in the upper elementary instrumental division of the Colorado State Music Teachers Association’s 2015 Rising Stars Festival and first place in the junior instrumental division in the same CSMTA 2017 Rising Stars Festival). In the fall of 2015 (as a 6 th grader), Casey earned the spot of Concertmaster of the Advanced Middle School Orchestra and during his 7 th grade year, Casey also played with the Escalante Middle School Jazz Band. He received the Outstanding Soloist Award at the Annual Arts in the Park Music Festival in Denver, Colorado in 2016. In 2016 and 2017, he auditioned and was accepted into the Honors String Festival at Fort Lewis College, where he earned the Concertmaster position. Casey also participates in Chamber Music through the Stillwater Foundation. In 2018, the string quartet that he plays with, Chamber Chops III, under the direction of Sandy Keifer, recently won Honorable Mention in the ENKOR International Music Competition for their performance of the 1st movement of Beethoven’s Op. 18, no.1. This ensemble also received a Superior Plus rating for their performance of the Ravel F Major, at the Solo and Ensemble Festival. During his 7 th and 8 th grade year at Escalante Middle School, Casey participated in three sports (basketball, wrestling, and track), competed in National History Day and made it to the Regional Competition level, and was a member of the Escalante Knowledge Bowl Team. In his free time Casey likes to play outside, ride bikes, play basketball, hang out with friends, read, play duets with his brother, organize and play in various chamber music groups, compose and arrange music, and play video games. Casey loves to perform and is community minded. He is often asked to play at parties, community events, and fundraisers. He has performed at Noel Night and for San Juan Symphony Orchestra Fundraising events, as well as at several Grand Openings (including First National Bank and Guild Mortgage). Casey auditioned for the Middle School Honors Performance Series in 2016, and earned the honor to play in Carnegie Hall. He earned the title of Concertmaster and the honor of playing various solo parts on the Vivaldi Concerto for Four Violins. Casey has been playing with the Durango High School Orchestra, since the 7th grade and has been the leader and concertmaster of this ensemble, since joining in 2016. As an 8th grader, Casey attended Durango High School and was enrolled in math and Spanish as well as Music Theory for high school credit. Casey received the WorldStrides OnStage, Maestro Award, for his solo with the Durango High School Orchestra, during their competition in San Diego in March 2018. As a result, he received an automatic nomination and has been invited to apply for the Honors Performance Series and the opportunity to perform at Carnegie Hall and the Concert Hall at Sydney Opera House in 2019. In November of 2017, Casey auditioned for the San Juan Symphony Youth Orchestra Concerto Competition. He won the Competition and in April 2018, performed Bruch Violin Concerto #1 mvt. 3 with the San Juan Symphony Youth Orchestra on stage at both the Bayfield Performing Arts Center and the Community Concert Hall in Durango. Casey was accepted to the 2018 Indiana University Summer String Academy and received an Artistic Merit Award to attend. He studied with Grigory Kalinovsky, professor of violin at the Indiana University Jacobs School of Music. Additionally, Casey auditioned for the Mendelssohn Viola Quintet, Op. 18 and earned the opportunity to play the Violin II part with faculty members Sarah Kapustin (Violin I) and Roeland Jagers (Viola I), as well as 2 other students chosen to play Viola II and Cello. They performed all 4 movements at one of the final concerts of the IU String Academy on July 19, 2018. Casey is now a 9 th grader at Durango High School in Durango, Colorado. He continues in his position as Concertmaster of the Durango High School Orchestra and is a member of the JV Basketball Team. He recently auditioned and was chosen to participate in the 35 th Annual Western States Honor Orchestra Festival at the University of Northern Colorado. Casey played Violin II with the Symphony Orchestra, conducted by Sarah Higino, at the Festival, which was held in November. Praised for his “beautiful tone” and “exceptional quality of nobility in his playing,” Filipino violinist and violist Lorenzo Raval is acclaimed for his versatility and dedication to the numerous aspects of his instruments – as a soloist, chamber musician, orchestral player, and teacher. 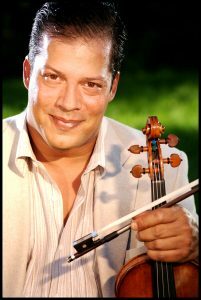 Lorenzo performs as violinist and violist with Prometheus Chamber Orchestra, and is an active freelance performer in the Philadelphia area. His playing can be heard on the 2018 Grammy Winning recording of Lansing McCloskey’s Zealot Canticles with Donald Nally and The Crossing, and in the 2018 Netflix movie Candy Jar. 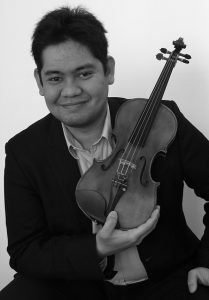 Born and raised in Quezon City, Philippines, Lorenzo received his Bachelor of Music in Violin Performance and Master of Music degree in Viola Performance from the Boyer College of Music and Dance at Temple University. He also attended the University of the Phillipines as a violin and music education major, and was a scholar at the Philippine High School for the Arts. His teachers include violinists Alfonso Bolipata, Helen Kwalwasser and Odin Rathnam, and violist Che-Hung Chen. His chamber music coaches have included Alfonso Bolipata, Rhonda Rider, Jeffrey Solow, Valissa Willwerth and Lambert Orkis, and he has performed at the masterclasses of violinists Pamela Frank, Oscar Yatco, Alexandru Tomescu, Thanos Adamopoulos and Takako Nishizaki, violist Kim Kashkashian, and the Alexander, Emerson, St. Lawrence and Ying Quartets. A two-time prizewinner at the Philippines’ National Music Competition for Young Artists in 1999 and 2002, Lorenzo has appeared as soloist with the Metro Manila Concert Orchestra, the University of Santo Tomas Symphony Orchestra and the Pundaquit Chamber Players, and has given recitals at the Cultural Center of the Philippines, Francisco Santiago Hall, and Corpus Hall at Casa San Miguel. He was first violinist of the Corpus String Quartet and was violinist and violist with the Pundaquit Chamber Players, performing chamber music in concert halls and alternative performance spaces in Manila, Zambales, Ilocos, Boracay, and Davao. Lorenzo has performed chamber music with violinists Alfonso Bolipata, Ellen DePasquale, Jason DePue, William Harvey and Oscar Yatco , cellists Ramon Bolipata, Victor Coo, Mirjam Ingolfsson, Renato Lucas and Jeremiah Shaw, pianists Clement Acevedo, Becky Lu, Jourdann Petalver and Mikhail Yanovitsky, violist Frank Shaw, hornist Danielle Kuhlmann, and members of the iO Quartet, Clarion Chamber Ensemble and the Philippine Philharmonic Orchestra. Lorenzo served as co-concertmaster of the Temple University Symphony Orchestra in its concerts at the Kimmel Center in Philadelphia and Alice Tully Hall in New York in 2010, and as principal viola in its return to Alice Tully Hall in 2013. Lorenzo was also the first concertmaster of the Metro Manila Concert Orchestra from its 2000 inaugural season to 2006, and was first violinist with the Asian Youth Orchestra in its 2001 and 2002 tours of China, Hong Kong, Japan, Malaysia, the Philippines, Singapore and Taiwan. A dedicated and enthusiastic teacher, Lorenzo was Resident Artist at Casa San Miguel in Zambales, Philippines from 2000 to 2006, where he taught violin and viola, and coached and conducted the Pundaquit Virtuosi, an ensemble composed of the best young string players from the Zambales community. He was a Graduate Teaching Assistant at Temple University’s Community Music Scholars Program from 2011 to 2013, and was a faculty member and music director of the LMA String Ensemble at the Leopold Mozart Academy in Elkins Park and Morrisville, Pennsylvania from 2010 to 2017. He is currently a faculty member at Community Music School in Trappe, Pennsylvania. Lorenzo currently lives in South Philadelphia. Since his critically acclaimed Lincoln Center debut in 1993, the American violinist Odin Rathnam has established himself as one of the most passionate and versatile artists of his generation. He has received unanimous praise from critics and audiences for his “captivating temperament,” “brilliant technique” and a sound “recalling the legendary violinists of the past”. A veteran performer at many major European and American festivals including the Algarve International Music Festival in Portugal, Denmark’s Tivoli and Vendsyssel Festivals, Deia International Festival in Mallorca, Boswil Festival in Switzerland, Aspen, Caramoor and Endless Mountain Music Festivals, he has also appeared in recital on the Market Square Concerts series, Lincoln Center’s Alice Tully Hall and Carnegie Recital Hall, where he first appeared at the age of 15. As a soloist, Odin Rathnam has performed with the Baltimore Chamber Orchestra, the Philippine Philharmonic, the Colombian National Symphony, the Harrisburg Symphony, Philadelphia Virtuosi, the Lancaster Symphony, the York Symphony, the EMMF Orchestra, The New Amsterdam Symphony , the San Juan Symphony Orchestra, Randers Chamber Orchestra, among others. During his distinguished career of more than 30 years, he has enjoyed the fortune of collaborating as a guest soloist, concertmaster and leader with many distinguished conductors, including Sergiu Commissiona , Pinchas Zukerman, JoAnnFalletta, Stephen Gunzenhauser, Olivier Ochanine, Lawrence Golan, Arthur Post, Stuart Malina, Daniel Spalding and many more, appearing in the United States, Canada, Europe and the Far East. Recent performances include concerti of Brahms , Mendelssohn, Korngold, Vivaldi, Piazzolla and Bruch, a performance of Sarasate “ Zigeunerweisen” with the Hershey Symphony at Lincoln Center’s Alice Tully Hall as well as recitals in the United States and Portugal. In 2007, he made his Tivoli Festival debut playing Prokofiev Sonata for Two Violins with Nikolai Znaider. The Danish newspaper, Kristelig Dagblad, hailed the “outstanding, full-blooded romantic violin playing by both players.” Four years later, he made his Danish orchestral debut, playing and conducting Vivaldi’s Four Seasons and Piazzolla’s Four Seasons of Buenos Aires, with the Randers Chamber Orchestra. Upcoming performances include a three concert series in the Mid State of Pennsylvania, presenting the complete Sonatas and Partitas of J.S. Bach, as well as works by Paganini, Ysaye , Kreisler and Piazzola, a regional tour of violin and piano recitals with works by Strauss, Stravinsky, Chausson and Sarasate and orchestral solo appearances featuring works by Bruch, Bach and Sarasate. Mr. Rathnam ‘s commitment to the development of young talents has led many of his students to be accepted at major conservatories throughout the United States and abroad, several going on to win prizes in national and international competitions, including the Fischoff, Nielsen and Queen Elizabeth competitions. He has served as a performing faculty member at Anker Buch’s Danish Summer School for Strings on the island of Mors, Danish Strings, and the Nordic Music Academy led by Nikolai Znaider . In 2012, Mr. Rathnam accepted an appointment as artistic director of the Academia de Verao in Lagos, Portugal. He then established the Silkeborg Classic Academy, with Danish conductor, Christian Horbov-Meier , which takes place annually in Denmark. In 2013, Mr. Rathnam was invited to give his lecture /masterclass series “ Lost in Translation-Demystifying the Principles of Ivan Galamian in Practical Application” at Juilliard, for the Starling DeLay Symposium, classes he has also presented in Chicago ,Copenhagen, Zambales ( Philippines), Portugal and at the Universities of Penn State, James Madison, New Mexico State University and Fort Lewis College, in Durango, Colorado. In the fall of 2016, Mr. Rathnam accepted a sabbatical post as professor of violin at Penn State University, in State College. As a chamber musician, Odin Rathnam has collaborated ( violin/viola) with many leading artists of his generation including: violinists Nikolai Znaider, Gil Shaham, Adele Anthony and Kurt Nikkanen; pianists Rohan De Silva, Albert Tiu, Robert Koenig, Christopher Guzman, and Anton Nel; and cellists Matt Haimowitz, Bion Tsang, Sara Sant’Ambrogio, Wendy Warner, and Daniel Gaisford, Concertante ( the critically acclaimed ensemble he founded in 1995), the Rafael Trio, the Ying Quartet , the Sweet Plantain String Quartet, and the Fry Street Quartet. Mr. Rathnam received his formal training at Juilliard Pre-College and Mannes College of Music with Sally Thomas and Ann Setzer, returning to the Juilliard School as a full scholarship student of Dorothy DeLay and Masao Kawasaki. He studied chamber music with Julius Levine, Felix Galimir, Joel Smirnoff, and Josef Gingold. He also worked closely with the Danish violinist and pedagogue Anker Buch , who is credited by many for bringing Ivan Galamian’s teachings to Denmark. Mr. Rathnam’s recordings can be found on The Helikon, West Branch and Kleos labels, with works by Mendelssohn, Vivaldi, Strauss and Schoenberg. Odin Rathnam performs on a late 19th century violin crafted by an unknown master, in the manner of Guarnerius Del Gesu’s middle period.